Get notified when Brooklyn Nets tickets are available! The Brooklyn Nets have been an NBA basketball team since 1976 and have been based in New York and New Jersey. 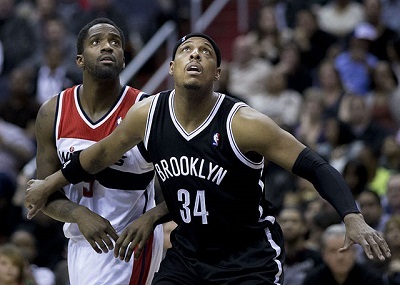 Since 2012, the team has been the Brooklyn Nets and has played in the Atlantic Division of the Eastern Conference. To catch a Brooklyn Nets game live, you can head to Barclays Center, which is located at Pacific Park entertainment complex in Brooklyn, New York City. The stadium opened for basketball games in 2012 and is known for its impressive, state-of-the-art facilities. Roughly 17,000 fans can attend games at the arena, and you can be one of them by purchasing Brooklyn Nets tickets online.